Did you know that each day we create 60,000 thoughts, and that a full 80% of those thoughts are negative? This is just one of the data points (that particular stat comes from the National Science Foundation) from our morning speakers here at the Sales 2.0 Conference in Boston, where hundreds of B2B sales leaders have gathered to learn the DNA of high-performance sales teams. The dominant focus of presentations this morning has been the psychology and culture of successful sales organizations. Here are four insights from the keynote speech delivered by conference host Gerhard Gschwandtner (Selling Power magazine). 1) Check your mental and management positivity/negativity ratios. Research shows that, in order to be happy, you need at least three positive experience to counterbalance a single negative experience. According to author and TED speaker Shawn Achor, people with a happy mindset are 23% more energetic, 31% more productive, and 300% more creative. If you’re a sales manager, take note: Harvard Business School found that high-performing organizations have a positive/negative feedback ratio of 5.6 to one. Takeaway: Help your salespeople cultivate positive internal self-talk and manage with a positive — not a punishing — style for better results from your sales team. Takeaway: Pay attention to what you say about yourself about your state of health. A negative mindset actually depresses your immune system and makes you less productive. 3) Hire salespeople with a “growth mindset.” Motivational research expert Carol S. Dweck has said that there are two kinds of mindset: fixed, and growth. A person with a growth mindset expands his neural connections and is open to growth. A person with a fixed mindset believes that it’s not possible for him to grow or change; as a result, his neural connections remain static. Takeaway: When you hire new sales professionals, look at the person, not just his or her experience. Does this person have a growth mindset? 4) Acknowledge the importance of dreams. Brain science shows that if we can actually visualize goals, we can actually achieve them. Takeaway: Everyone in your sales organization should have a “wall of dream” containing pictures that represent their goals or visions of success. This could be anything from climbing Mount Everest, to attending a retreat in India, to owning a Bugatti. “This will transform your sales culture in five minutes,” said Gschwandtner. 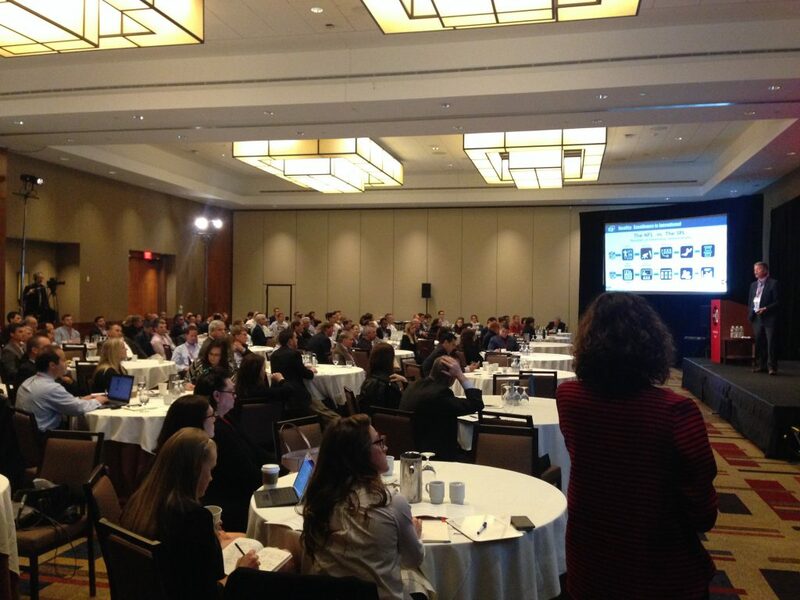 Interested in joining us for a Sales 2.0 Conference in 2016? We will be in San Francisco July 18-19 and in Philadelphia November 14 (note, the agenda for the November event is not yet final; you can sign up to receive an email alert when the agenda is live). This entry was posted in Conference Speakers, Sales 2.0 Conference and tagged Boston, Carol S. Dweck, Gerhard Gschwandtner, keynote, mindset, negativity, positivity, Sales 2.0 Conference, sales management, Selling Power, success, TED. Bookmark the permalink.